In today’s highly competitive world, only those who gain total control over their minds, will rise above the ordinary to lead happy and successful lives. At SSGB, 'Excelling means not just in studies but if life too. 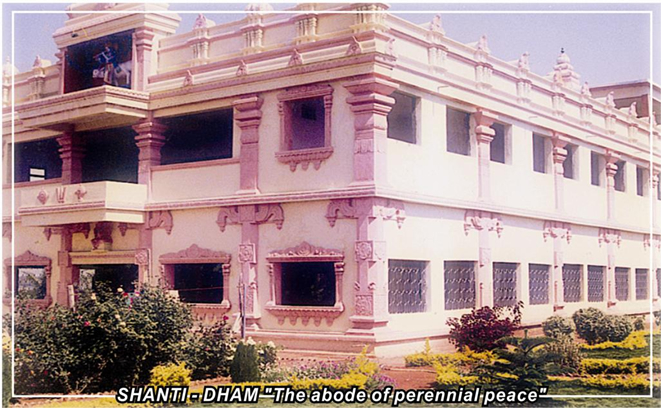 With the responsibility to create better citizens, SSGB has built the 'Shanti Dham', meditation temple which is set in the most appropriate and natural surrounding amidst, green trees. SHRI SANT GADGE BABA "A PIOUS LIFE SKETCH"
Shri Sant Gadge Baba, a true incarnation of Almighty, a holy saint, divine social reformer to the core and was a servant of the people in action. A noble soul., who held to his bosom those helpless beings, who had none to protect them, wiped tears from their eyes and cared for their livings. The moving miracle of India breathed his last on 20th December 1956 at Valgaon, a death in complete harmony with the life he had lived. The sacred urn containing his ashes is preserved at SHANTI DHAM in college campus, which is now a spacious cathedral housing idol of God's and saints of ancient India.